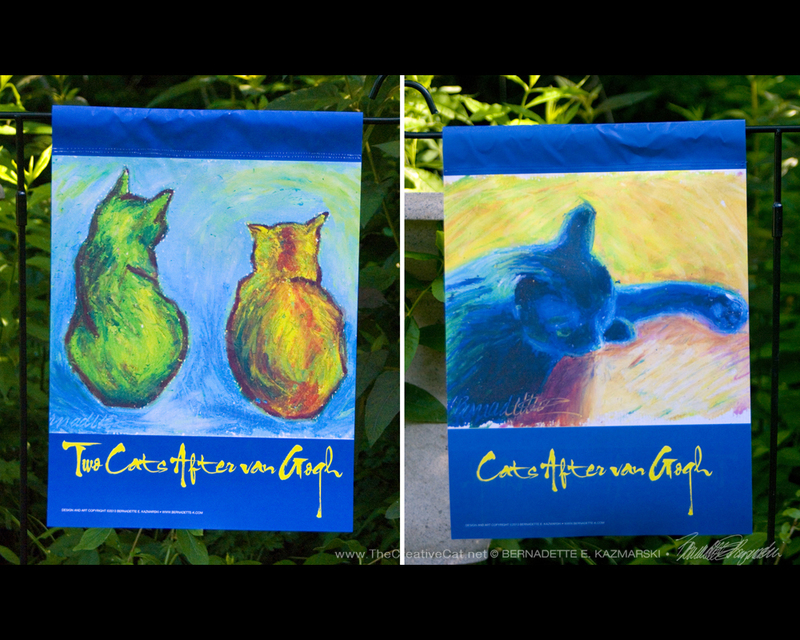 Let people know you love cats with these two feline garden flags I’ve created with my artwork! Flags are 11” wide x 15” tall and are digitally printed on both sides of a heavyweight, durable indoor/outdoor woven printable fabric, I finish by adding the rod pocket. They fit the most common garden flag bracket available, sold in most hardware and home renovation stores with a garden area (bracket is not included). I’m sorry, this flag is sold out. Each flag has a design on both sides, in this case it’s the same on both sides, but mirrored. 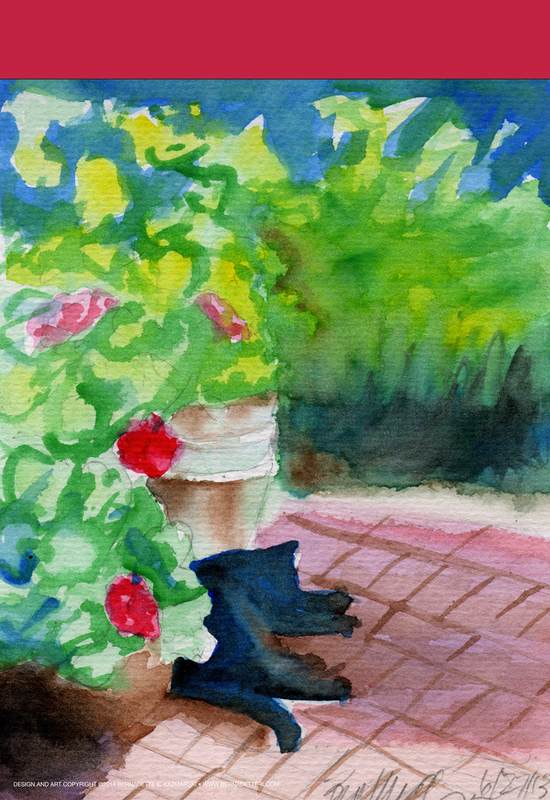 This art is “Garden Sketch With Mimi”, originally 5″ wide x 7″ high on 90 lb. watercolor paper signed and dated 6/27/13. 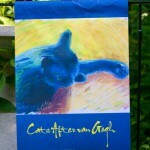 I also offer this art as a print on paper, canvas as well as greeting cards and note cards. 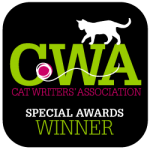 Winner of a 2013 President’s Award by the Cat Writers’ Association. Click here to read more about this contest and the awards. 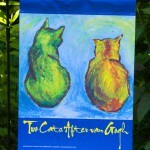 This entry was posted in animal-inspired merchandise, black cats, cat merchandise, feline artwork, garden flags and tagged animal artwork, black cat, black cats, cat art, cat artwork, cat garden flags, cat gift items, cat merchandise, garden sketch with Mimi on August 13, 2016 by Bernadette.